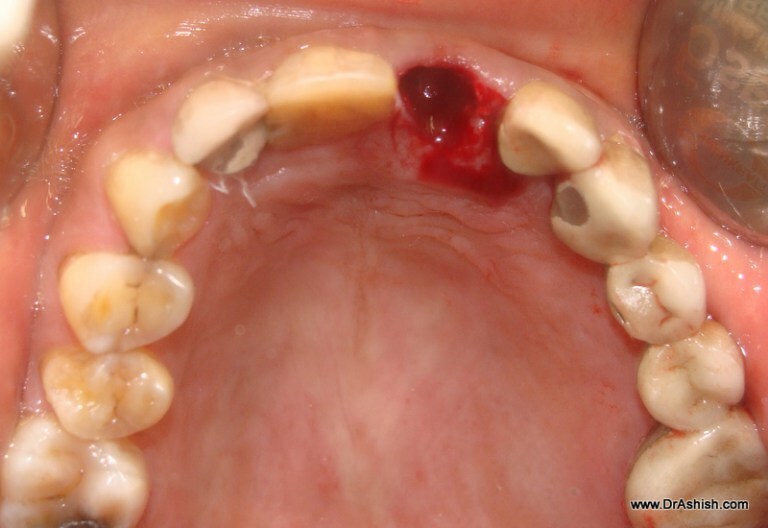 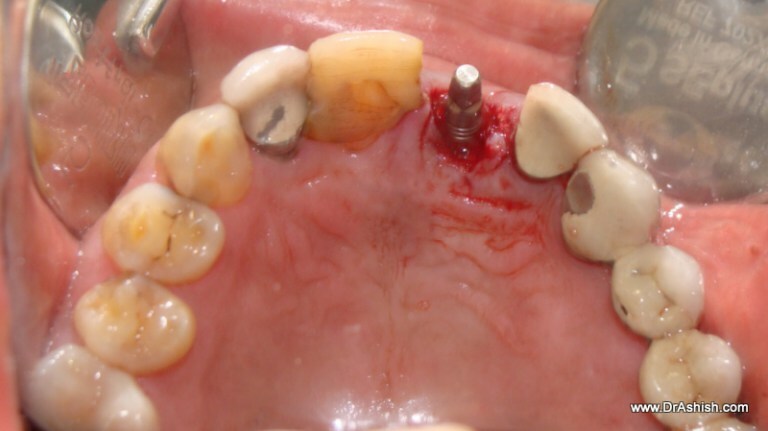 Sometimes we come across EMERGENCIES in our practice; as in this case FRONT TOOTH FRACTURE. 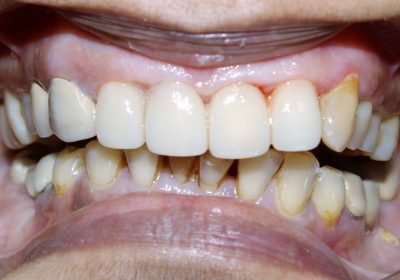 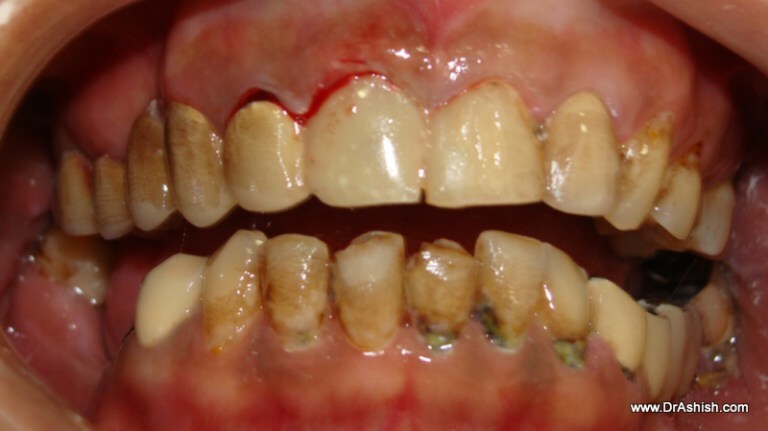 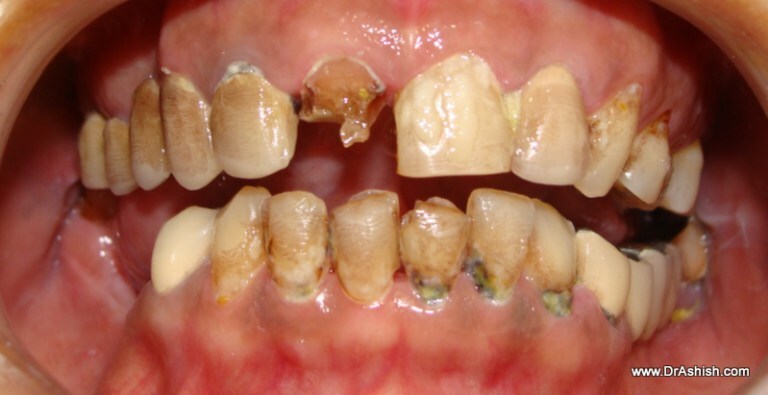 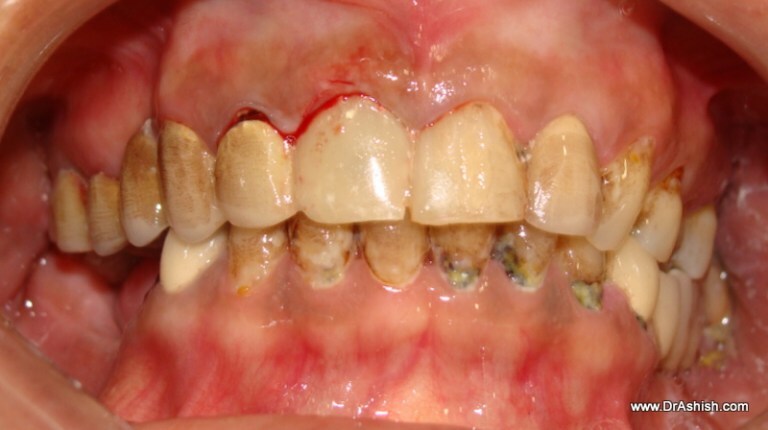 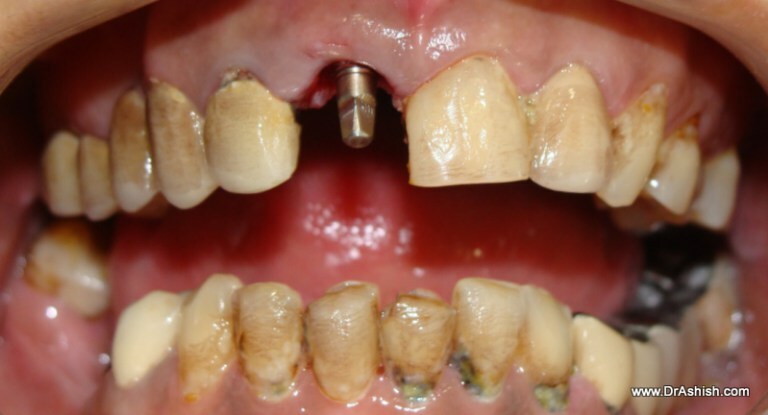 This female patient was suggested treatment of her entire set of teeth many times. 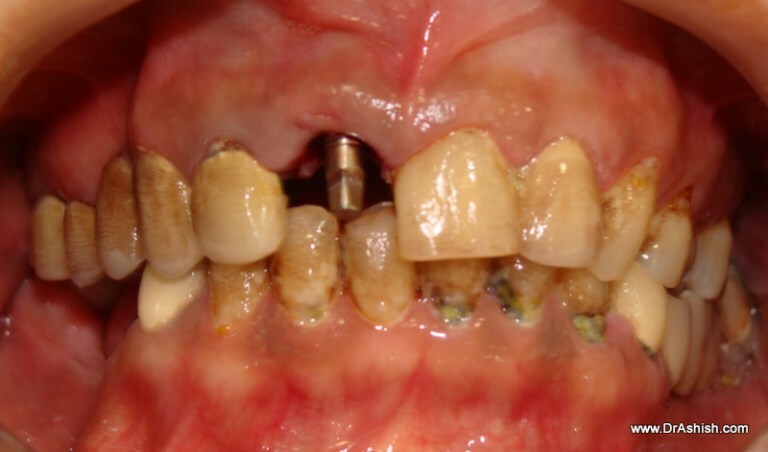 She is a chronic smoker and has unscientific dentistry done in her mouth by her previous dentist.She has had a bad experience of Dental Treatment and has developed such a phobia that she refuses to undergo any dental treatment.She reported to the clinic first in the morning and refused to go home without her teeth being fixed. 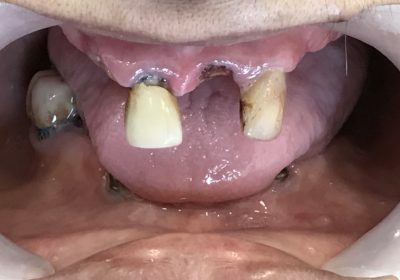 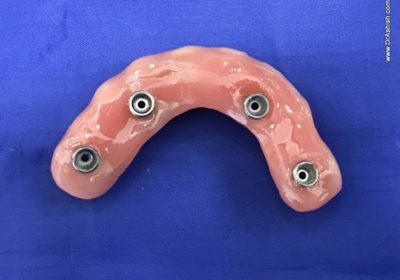 An immediate loading dental Implant was done after careful extraction and a provisional cap was fabricated chairside.The shade was carefully crafted to match her existing Dentition.It was great to see a patient come crying and leave smiling from our office.Perks of being a Dental Surgeon.Dental Implants have a great role in treating emergencies created by front teeth fracture at our clinic in Mumbai India.